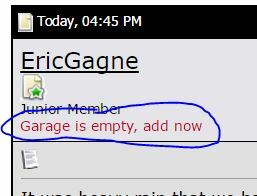 The link in the header of a post to add a new vehicle to the garage goes to a page that does not exist. Blowing Engine 30a Fusable Link "only on accelerate in drive with load." Quick Reply: Bad link to garage "add new".